If you didn't know any better you would think this is a scene from a movie where every human has deserted Los Angeles or a major catastrophe has forced complete exodus. Ross Ching, a graduate from the Sand Diego State University's film program takes us in a journey that fulfills that empty vision of Los Angeles. Living in Los Angeles, he often wonders what would the city be without this dependent object we call a car. Stuck in traffic, frustration accumulates and one cannot help to think, "What if tomorrow everyone's car disappeared?" A rare sight, but beautiful too. In a car dependent society, we value the power to drive and occupy the roads. In Los Angeles, driving seems to be far from luxury, it is a way of life! What happens when the busiest Interstate in America closes for 53 hours? Most might think this was a recipe for disaster and dessert for the media. The over-hyped event proved to bring something quite different. The idea of Los Angeles absent of cars has been something that many people and artists have pondered on for quite some time. Although this video is not a compilation of scenes from last week's road shutdown, it still demonstrates the same vision of emptiness and solitude. Ross Ching created this time lapse environment by shooting a series of still images on the same position and then masking the layers until the environments were fully empty of cars. His compilation of high resolution stills placed on a sequence and shown in this short film shows us a human element to this LA story. By combining the masked stills and compiling it in Final Cut Pro, he was able to narrate something quite rare but something quite powerful. 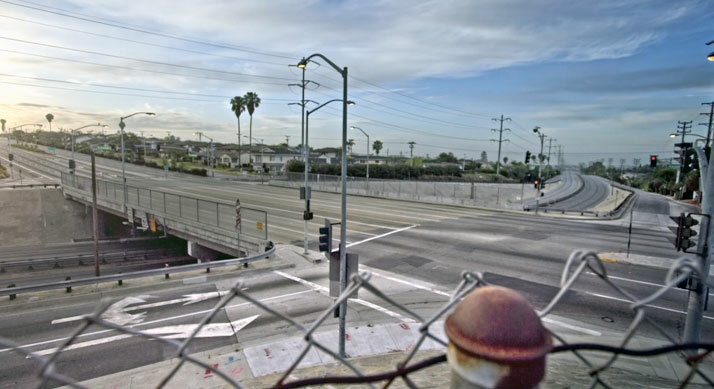 In this VOW we see a short film by Ross Ching capturing this rare, epic and beautiful idea of Los Angeles without cars. 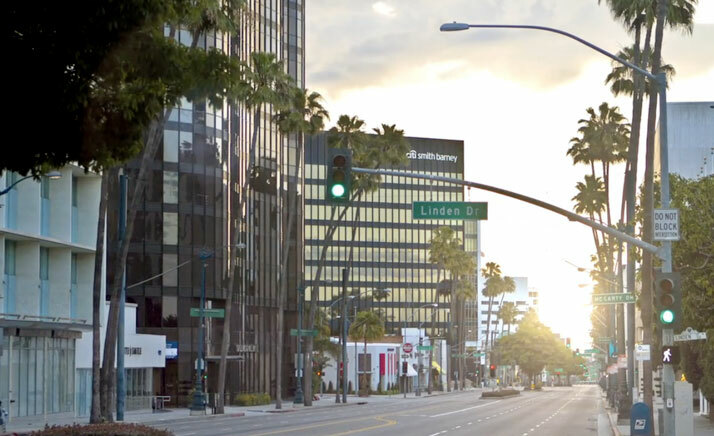 It seems weird but the sight of a "no car" LA contains a poetic experience that makes us think about our choices and what we value as urban dwellers. Having a car is indeed nice when we need it but what is the impact it has in our environment? How much of our lives is wasted just getting somewhere? This event raises the notion that not driving, even if it is by force could be quite healthy and extremely rewarding. A walk down our neighborhood, a bike ride to the beach or simply a day off at home doing yard work and/or relaxing is a rare thing in this car obsessed society. What if having no car or driving way less said something bigger and better about ourselves? Could I see the 405 Interstate empty at all times? Maybe not but I do see the value of forcing these arteries to be shut down once in a while. Let's do local holidays where you can walk, bike or take mass transportation modes only. Whether this idea will catch on or not is trivial but looking at the city under these circumstances demonstrates the engineered and architectural beauty of Los Angeles.